First up was Huttenpalast, located in Hermanpalatz of Berlin. The hostel's concept is based on indoor camping, although the term 'glamping' would definitely be more appropriate here. There are two halls of six caravans, all unique with its own shape, size and look. There are shared common indoor and outdoor gardens which encourage you to socialise with your fellow campers, and the shared bathrooms had some of the best showers we had for our entire trip! We only had one night here and made the most of it by spending the evening in, making full use of the facilities and comfort. 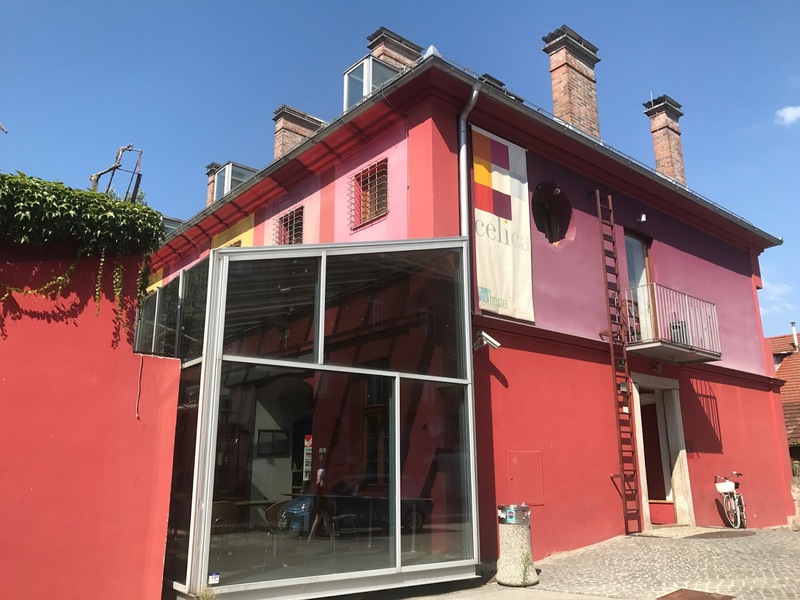 Ljubljana's Hostel Celica is literally one of it's kind, as it is actually a former prison. 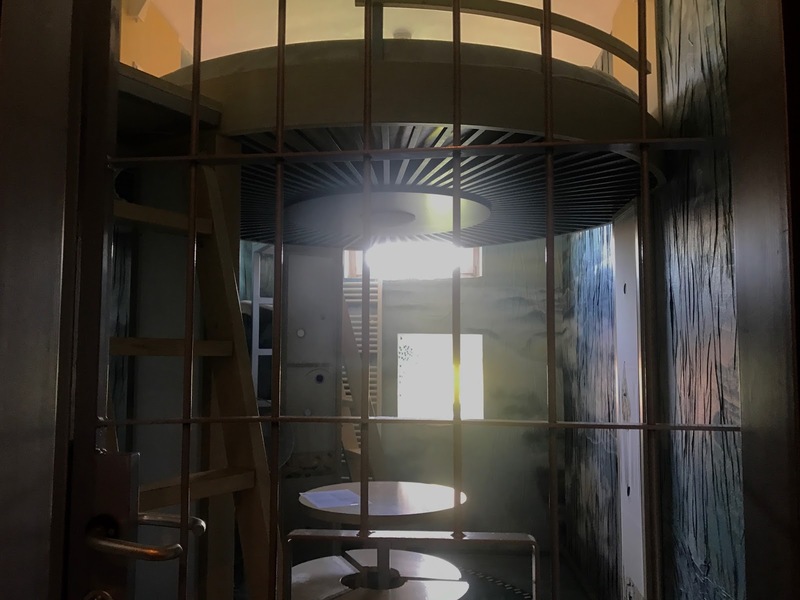 It has been transformed and modernised, yet retains many of the former features including bars on the windows, all of the rooms are former cells, and the cellar displaying the history of the building is eerie to say the least. Each of the rooms, or cells is completely different from the other, and has the artist to whom the work is accredited to by the room number sign on the door. Our cell was named 'the eye,' as the lifted bed is circular and represents the room's iris and pupil. The lyrics of Leonard Cohen's 'Tower Song' was etched on to one of the walls, and overall we found it pretty incredible, fascinating and a little creepy. Our final destination of our Interrail journey was Brussels, and we couldn't find a more fitting way to end than to stay in the Train Hostel. Here is a mix of the traditional dorms, cabin like sharing rooms, and private cabins, which is what we had the pleasure of having. 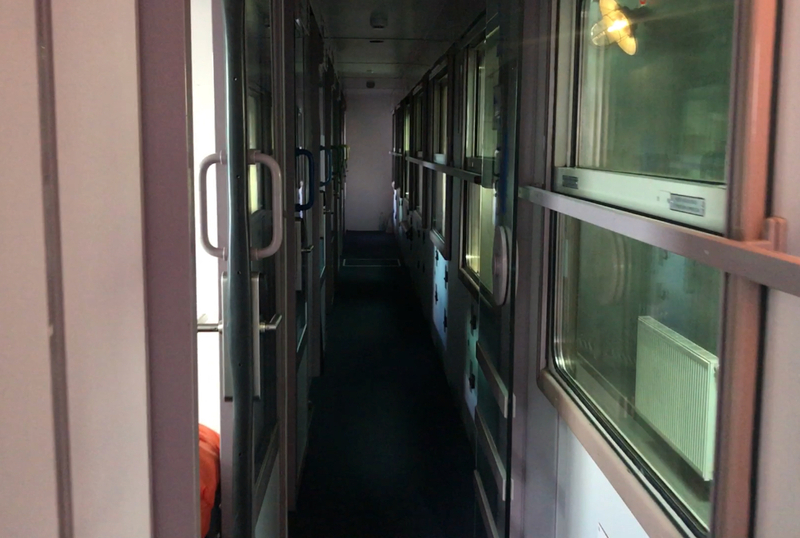 Having taken the night train from Ljubljana to Zurich previously in the trip, we could see how accurate the representation was, although this was not surprising. Authentic railway cars don the roof of the building and all of the parts used have had a previous life in industrial and commercial rail. Although you could say we haven't had the traditional hostel experience this time around, we hope we've proved that it doesn't have to be how most people assume hostels would be like. All of these places were still so much cheaper than your typical hotel, and each stay was a unique memory and experience for us. During the course of the trip we stayed in hotels, hostels, a night train and plenty of Air Bnb's. If you'd like to read about our Air Bnb experiences, then check out our post here! There are so many great hostels. Sounds like a great hostel you stayed at. So glad you agree! Have you stayed at any? Wow, these hostels really do buck the stereotypes! You are right in saying that my first preconception of a hostel would be grubby, unsafe, and unwelcoming but these look like fantastic places to stay! The circular bed in the Hostel Celica sounds and looks absolutely amazing, a really unique design idea! I love the idea of "glamping"as well, the communal areas must have been great and mixing with fellow travellers, which you might not necessarily do at a traditional hotel! Fab post as always! We do think we cheated in the sense of not sharing a room as such with other directly but our experiences have definitely changed our views on them for future stays! All three of these hostels look incredible - more like little boutique hotels, definitely not what comes to mind when you first mention the word ‘hostel’! I love the idea of the second, a circular bed sounds incredible, but I can definitely understand why it would creep you out a little.. There were all incredible and we were so lucky to have stayed at them! Lovely to hear a more positive view on hostels; some sound awful. Your photos are absolutely GORGEOUS! We've heard our fair share of horrible ones but were so happy to be sharing positive ones! I've never seen hostels like these! My experience has been much more along the lines of what you described in your first paragraph, with the exception of my travels in Japan. I'd LOVE to stay in a train hostel, though!! Oh no, that's such a shame! I really do think we were lucky but we couldn't recommend these places enough! So glad to be able to change some views for you! Ooh these all look so interesting, especially the train hostel! I must admit, I was a little skeptical about hostels but me and Zack stayed in one when we went to London and it was actually lovely, and very affordable! I had no idea hostels could be so nice!? I guess I tend to default to Air B n B somewhat now! I love this post, its super original and I'd have never thought to explore hostels as an option until you guys showed me how many cool hostels there are out there! So glad to hear it, we are hopeful for more hostel adventures in the future! Glad to have opened your mind to the idea! I enjoyed this post, it really showed people that there are so many different types of hostels. I have stayed in many hostels on the last couple months and they are pretty good. Great way to meet people and its all about checking their reviews. Yes defo! Reviews are always the one but I'm glad you agree with the greatness of hostels!